Torah observant Jews spend 1/7 of their lives disconnected from active manipulation of the physical world. Not only do we avoid all electronic devices, but we also avoid building structures, writing, telephones, traveling far from our place, cooking, and a variety of other activities. It’s not that we believe that the Creator of the world needs our rest or that the Creator needed the rest on the 7th day of creation, but rather that the Creator’s rest from more than sustaining of what was already created is a guide for us. We are created in the image of the Creator, and so we aspire to emulate the Creator so as to have the purpose and meaning of creation resonate through us, which is ultimately a benefit to us, as well as the Creator of whom we are a part thereof. When we spend the day, not just praying, eating, and spending time with our families without other distraction, but doing so for the aforementioned higher purpose, we bring a taste of the next world into this world, and infuse the two with each other. 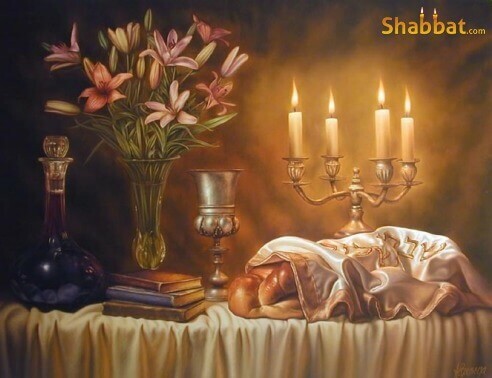 With the above in mind, comes shabbat.com – a place for Jews to “share their Challah.” It’s open to Jews of all kinds, though for obvious reasons, most of the hosts and guests for Shabbos placements are Torah observant. 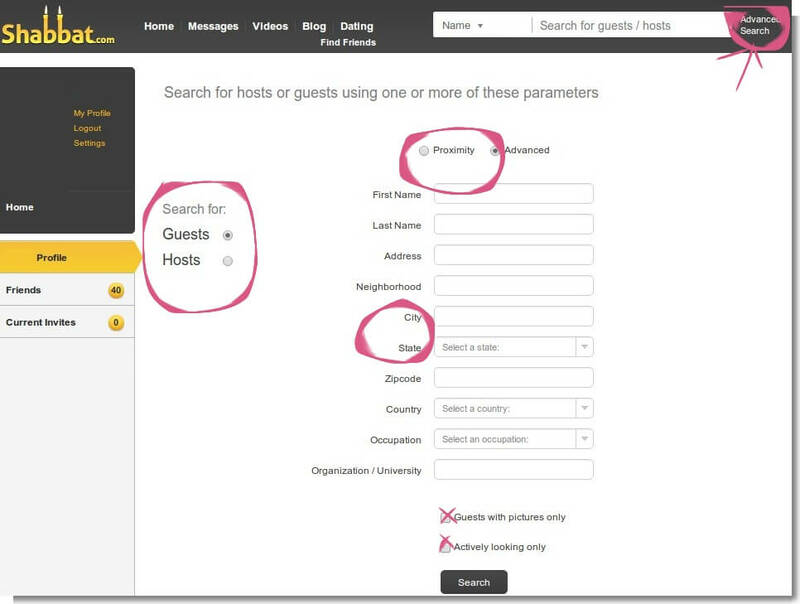 That is – you can signup as a “host” to have people at your Shabbos table or as a “guest” to find a place to spend Shabbos or have a Shabbos meal. You can also do both. The site works a little like a social network, with messages to others and a wall with status updates. It also includes dating profiles, though we most commonly use it for receiving and sending Shabbos invitations. a picture. The lack of one can leave more questions are to whom you will spending time with, than it’s worth. We’ve used the site both ways – as hosts and guests. The hosts are mainly families with children, but not always. The guests are usually singles or friends, but again, not always. Using the site allows people to explore other communities and meet other people, and it allows hosts with space and food to share with others and provide a nicer Shabbos atmosphere than one may have alone. Being an observant jew is very communal and very family oriented. While we’ve had some very good experiences and met some very nice people, we have also had some bad experiences. While Shabbat.com does go through and remove problematic profiles, it’s still the internet and there’s still little accountability for information provided. It is very important to check the references provided on the website. The references are usually Rabbis, Rebbetzins, close friends, or family members. A simple call to a reference to ask, “is this person, you know, relatively normal enough to invite into my house and spend time with my young children?” is a necessity. While we’ve never encountered anything close to dangerous, those who use the site range from those with various mental issues, to those living less than stable lives who are “lost souls” searching everywhere for meaning, to singles just back from yeshiva or seminary away biding their time until they get married, to older ba’al tesuvah’s (newly religious) who live in a place without much of a Jewish community. At this point, we don’t invite or accept invitations unless we can verify something about the person from their reference, they have a picture, and they’re profile is fully filled out. They also have to be actively looking, because otherwise, they’re probably not interested. Having said that, if you like having guests for Shabbos, the website is a great resource for finding those who need a place to stay for Shabbos. This is the mitzvah of channacos orchim – inviting guests who don’t have a suitable place for themselves. Agunah – Why Require a Man to Give a Get for a Jewish Divorce? Why Don’t Bad Things Happen to Bad People? How to Become Rich – It’s Easy . . . and why are there poor people, anyway?